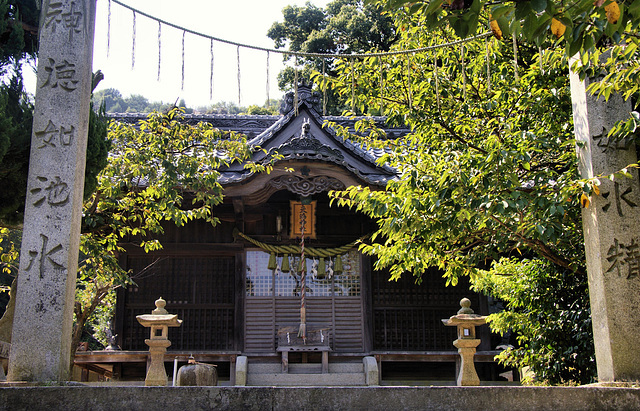 Mitarai Tenmangu is located at the back of what used to be the main brothel area of Mitarai, and was popular with the working girls. 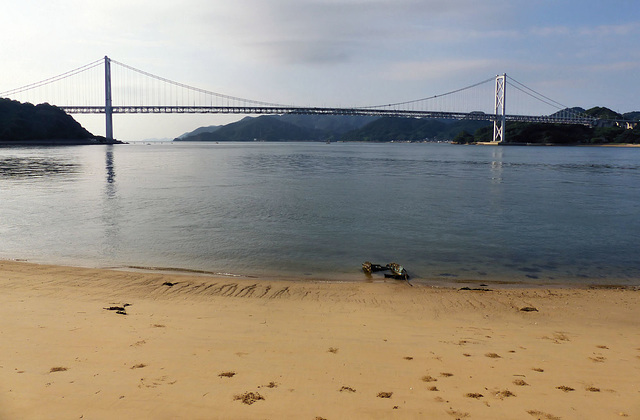 Legend says that the mythical Empress Jingu stopped at the well here and washed her hands and that this is where the towns name came from. In the Meiji period a Tenmangu shrine was built here supposedly as Sugawara Michizane also stopped at the well and washed his hands. 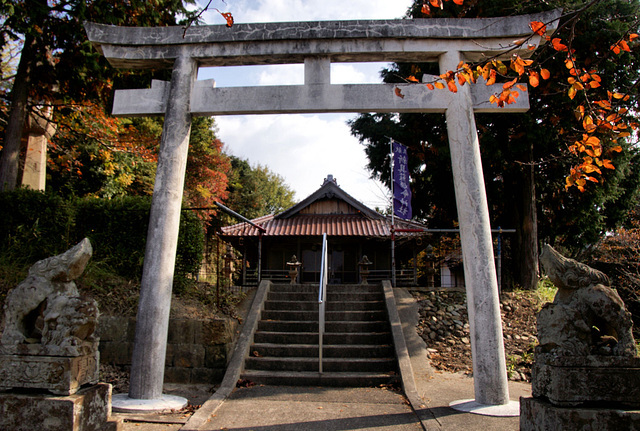 The fact that Tenjin was not enshrined here until Meiji suggest to me that maybe it was a strategy to protect the local shrine. 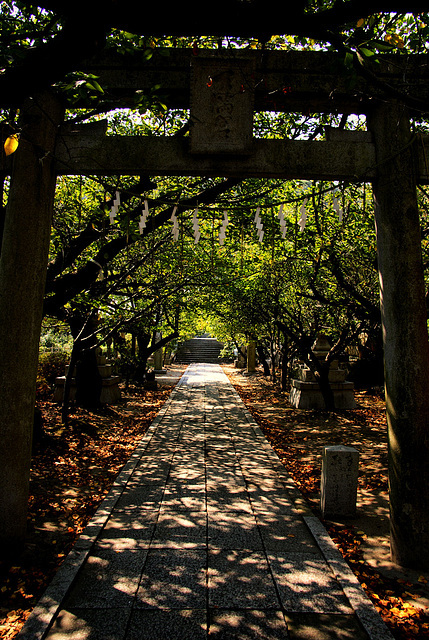 In late Meiji the government set about closing down half the shrines in the country, mostly local, nature based shrines. 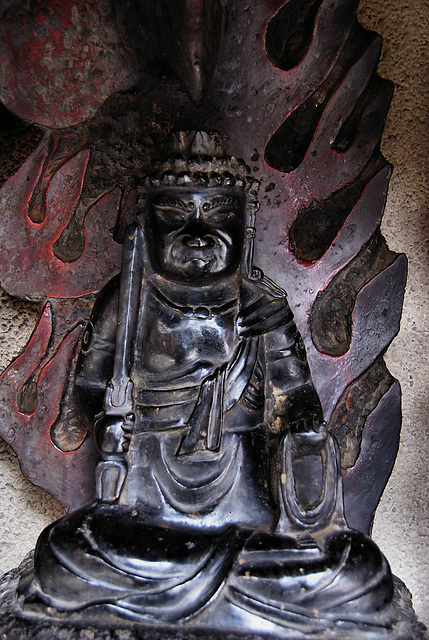 One way to stop your shrine being closed down was to enshrine a "national" god , like Tenjin. There is a curious monument to a local Mitarai man, Harukichi Nakamura, who was the first Japanese to cycle all the way around the world. which he apparently did in the early years of Meiji. 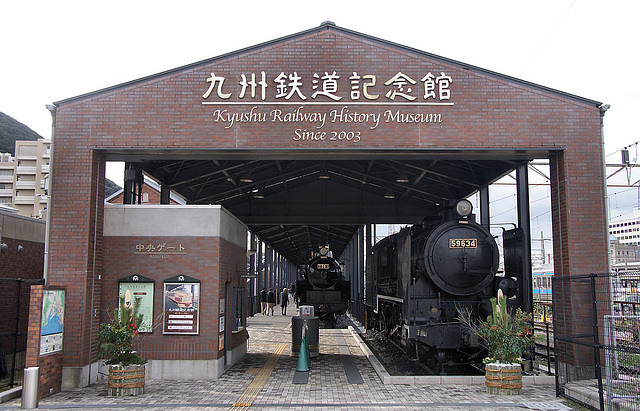 The Kyushu Railway History Museum is located right next to Mojiko Station in Kitakyushu. 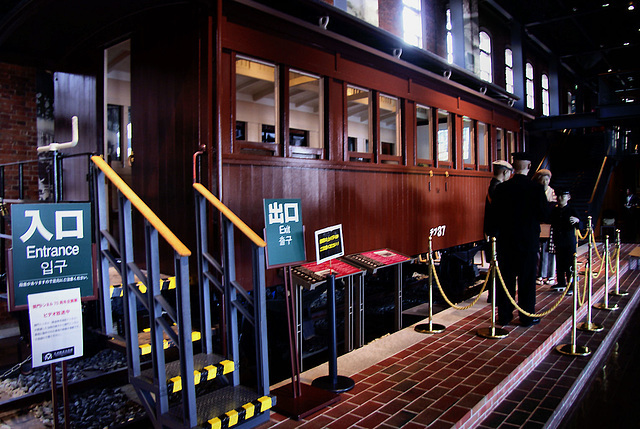 Housed in the original headquarters of the Kyushu Railway Company, it will appeal to railway buffs and kids. 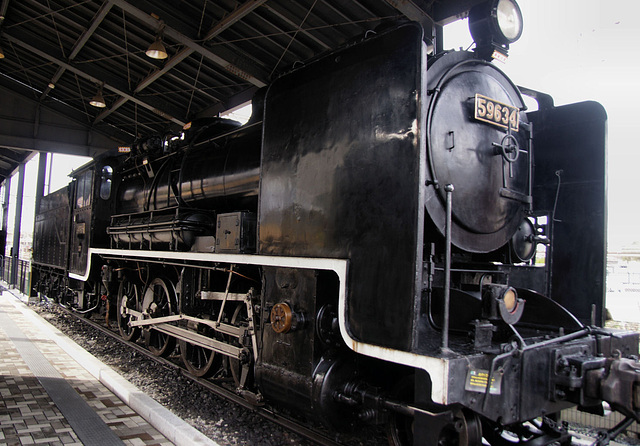 There are lots of engines, including several steam trains, as well as sleeper carriages and other rolling stock, most of which can be boarded and explored. 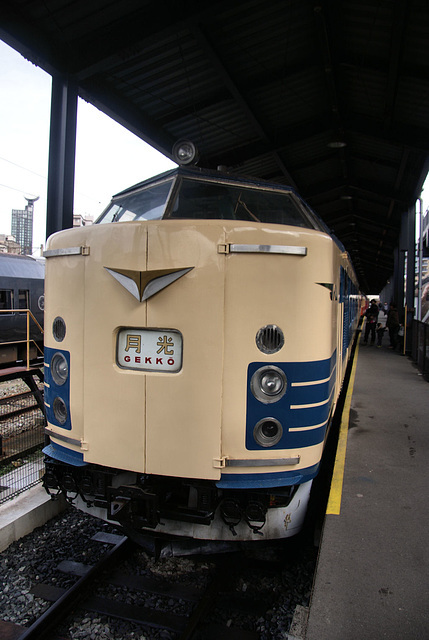 There is also lots of historic paraphenalia and a train driving simulator. 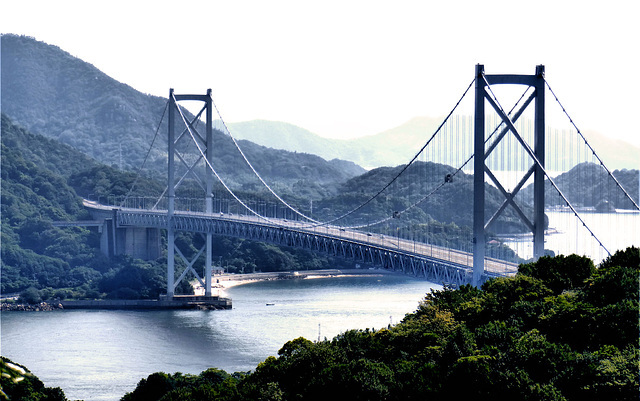 If you are cycling or walking the Shimanami Kaido, the road that connects Onomichi in Hiroshima with Imabari on Shikoku, then the first bridge you cross is the Innoshima Bridge connecting Mukaijima Island with Innoshima island. 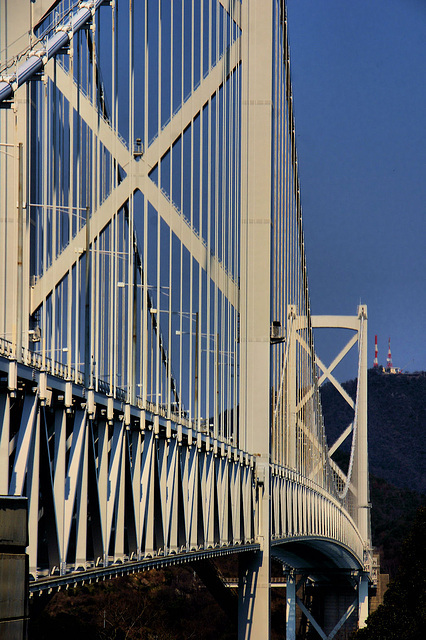 When it was built in 1983 it was the longest suspension bridge in Asia. 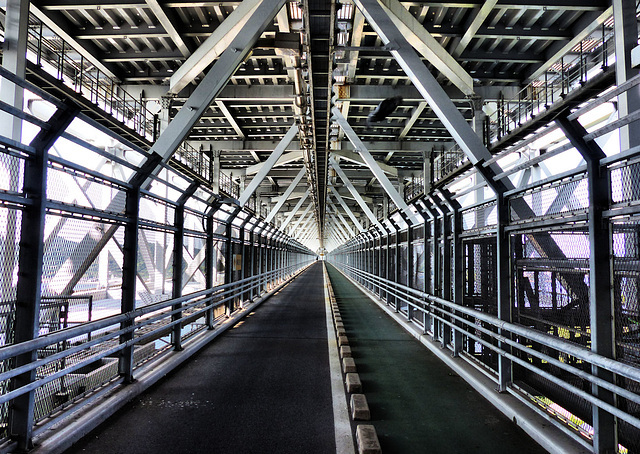 The total length is 1,339 meters, and the main span is 770 meters. 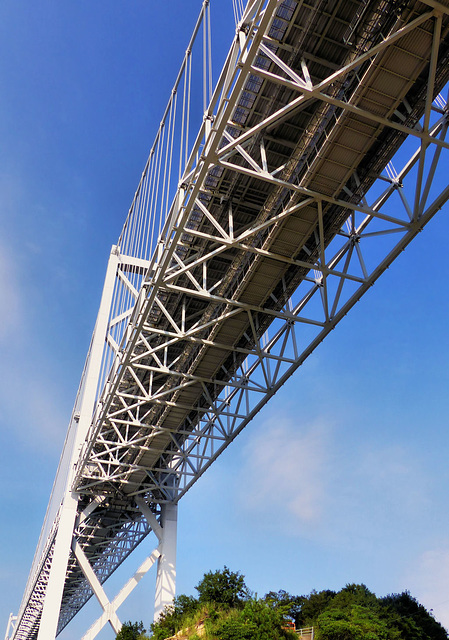 All the bridges of the Shimanami Kaido can be used by pedestrians and cyclists, and on the Innoshima Bridge they are carried below the expressway carrying cars. Though the views are a little obscured by the chain link fence, at around 40 meters above the water the views are still great. At the end of my fifth day of walking along the Kyushu 108 Sacred Sites Pilgrimage I was in Kokura, somewhere I had visited several times before. 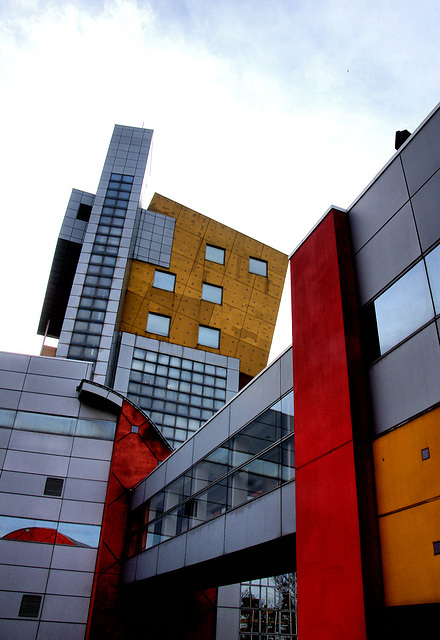 However, it was a different day, a different season, and a different time, so I revisited some of the interesting places to see if I could get some good shots. 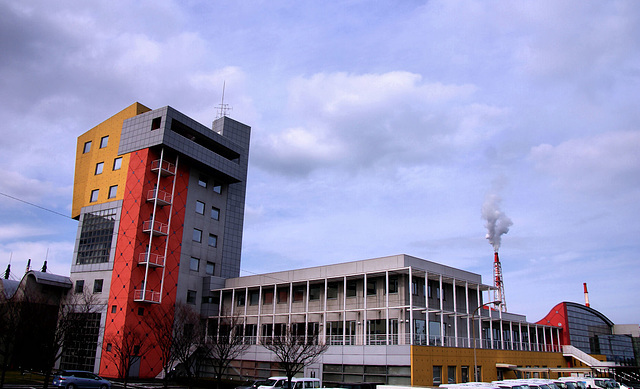 In general I quite like the architecture of Arata Isozaki, and being a Kyushu native himself there are several examples in the area, including the Kitakyushu International Conference Center. 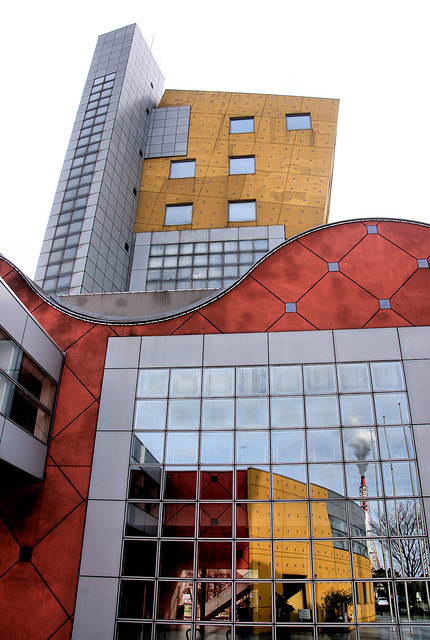 Built in 1990, it has a nice combination of curves and non perpendicular angles as well as bright colors. 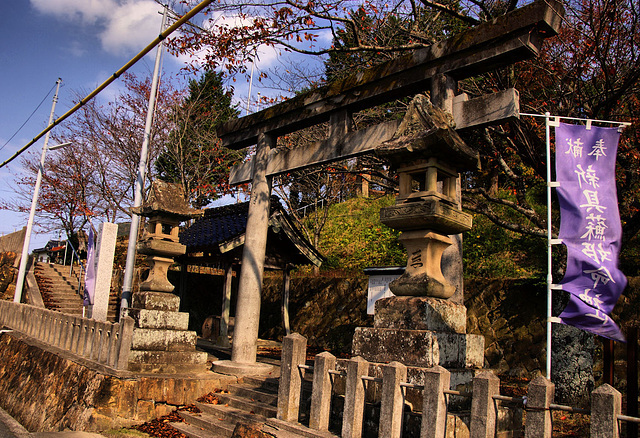 This shrine is on the main road not far from Mononobe Shrine and appears to be just a small local shrine, but is in fact one of the oldest shrines in the Iwami region, founded in 731. 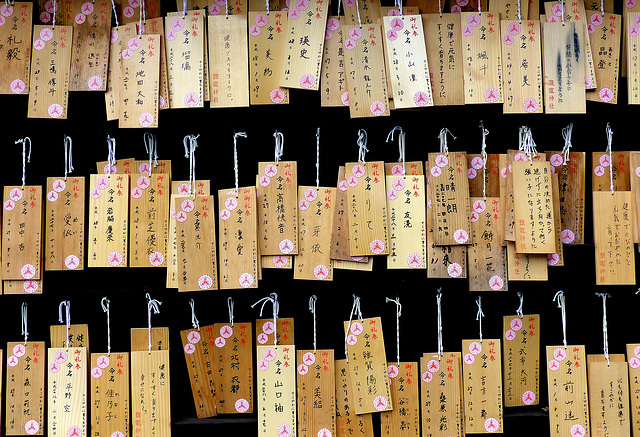 It is also listed in the Engi Shiki, which means it received offerings from the government in Kyoto. 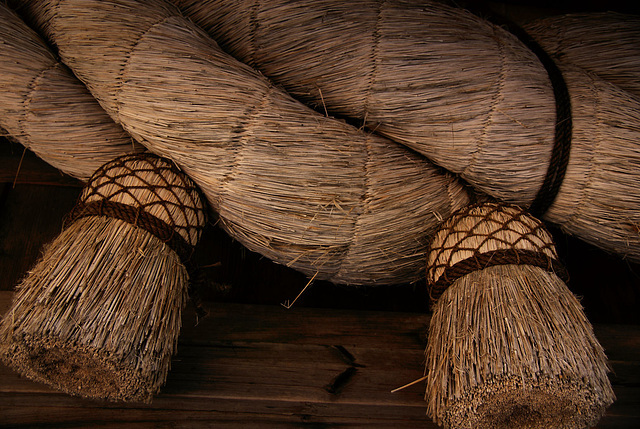 The kami is Niigusohime, and is considered to be a kami of the 5 grains and farming. Strangely she is also associated with cheese! A kind of cheese from Mongolia was introduced in 650. probably via Korea. so maybe she had something to do with that. There is a sutra mound within the grounds, not so unusual as most shrines had Buddhist elements in earlier times. 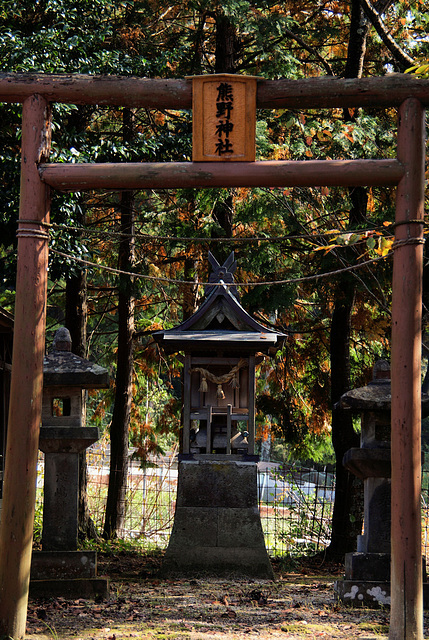 There is a small Kumano Shrine too. 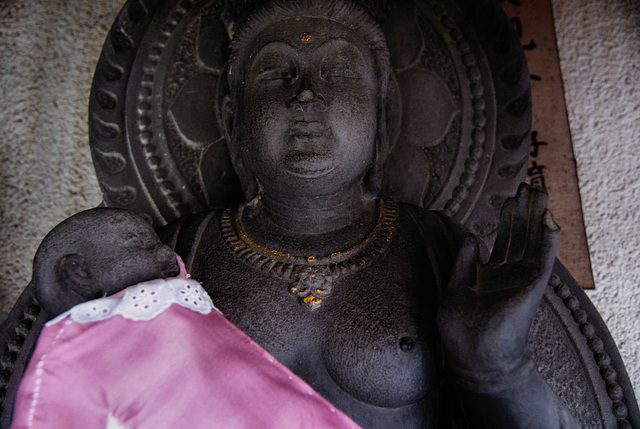 The shimenawa is Izumo style, big and thick. 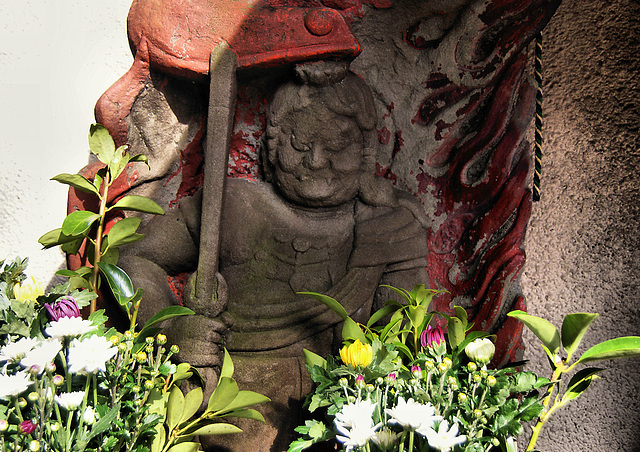 Tokusenji, in Kokura, though a very small urban temple had quite a few statues. As you know I take a lot of photos of statues. I am intrigued by the diversity, evident in these first three photos which are all representatios of Fudo MyoO, ome of my favorite deities. 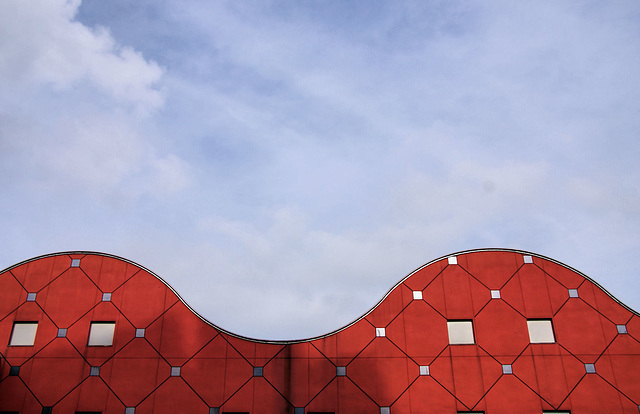 Nowadays there is a tendency away from diversity towards uniformity and conformity. 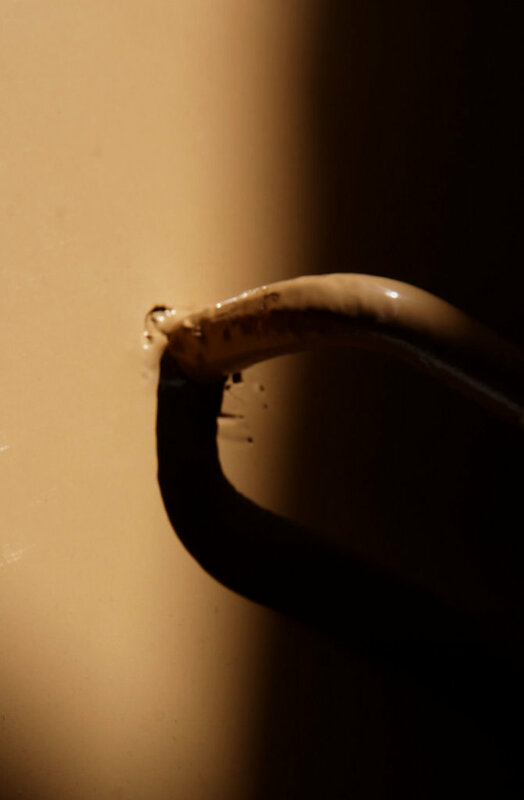 Most statues are made in factories or by using the same data to control the machines that carve them. 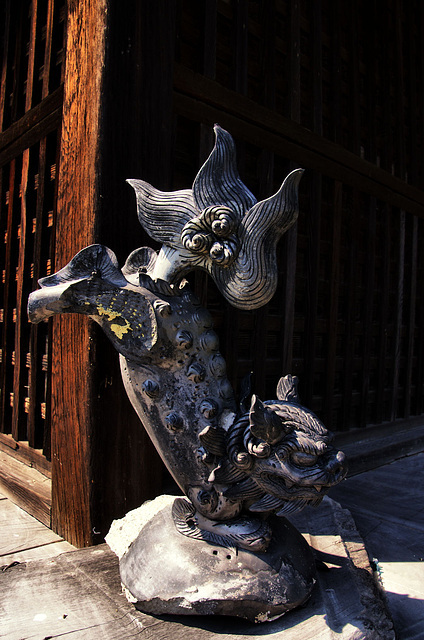 Exactly the same statues of Fudo or Komainu etc are now appearing all over the country. But there are still some places and people who will resist that. 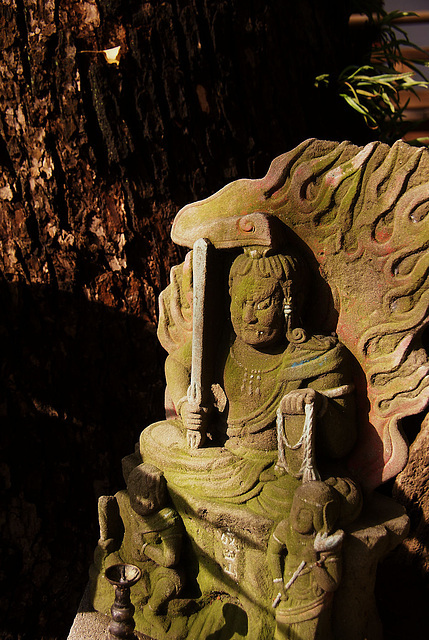 Again, my guess is that this is Kobo Daishi, the founder of Shingon Buddhism. 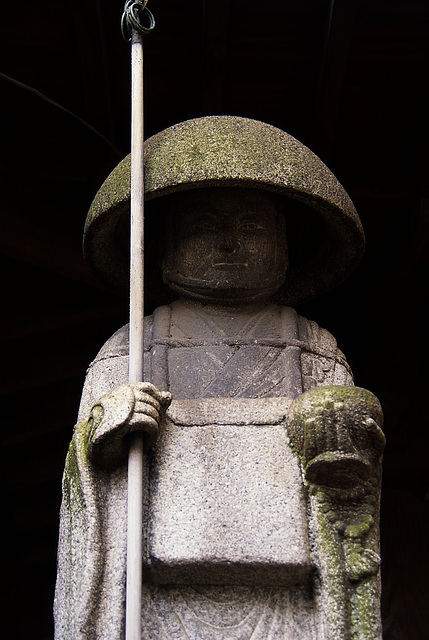 Statues of him come in a variety of forms too, but as in this statue, represented as a mendicant monk is fairly common. 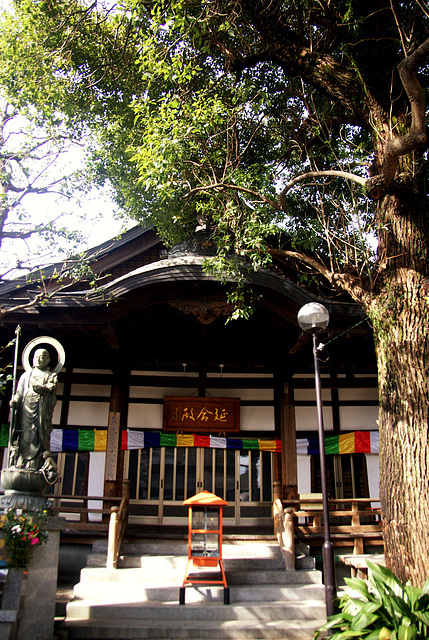 Tokusenji is a small temple in a residential district of Kokura. 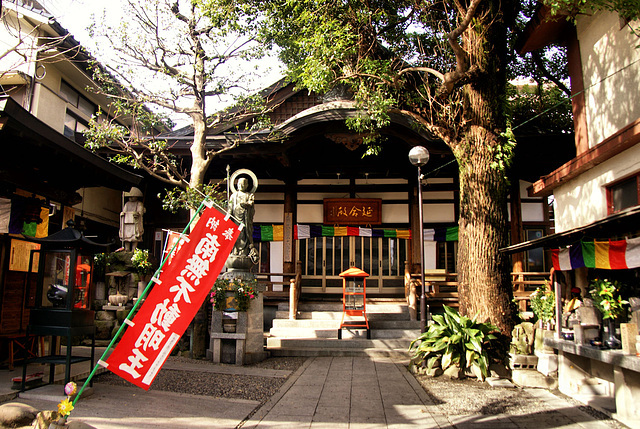 Its not a very old temple, and as far as I can make out there is absolutely no connection to Kobo Daishi, so I don't knoiw why it is on the pilgrimage. 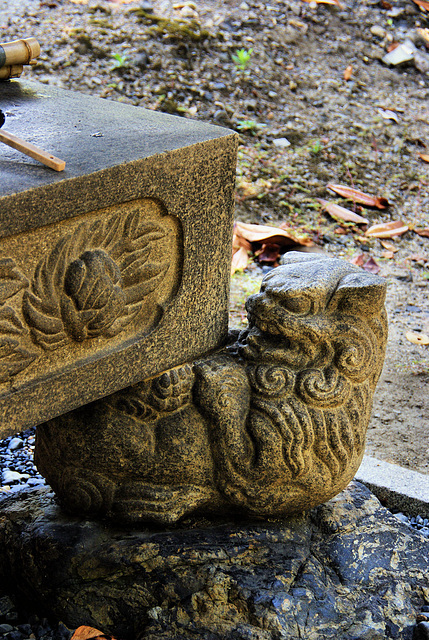 There was a small Inari Shrine in the compact grounds, and quite a few nice statues. 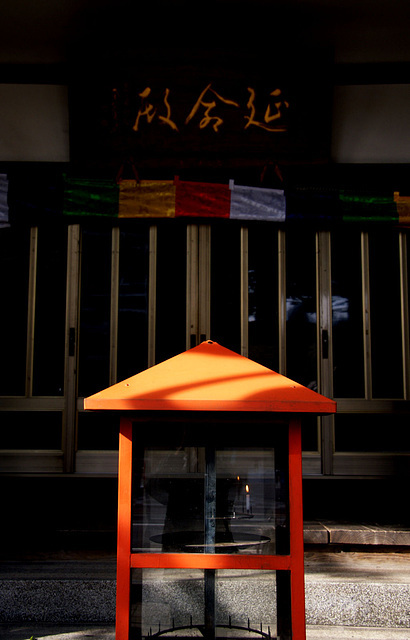 The gohonzon, main statue, is a jizo, but there is also a small Jizo hall with another Jizo, an Okakae Jizo which is meant to be picked up and held. 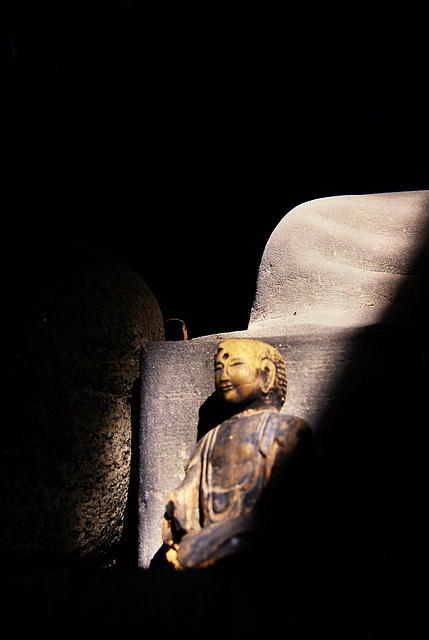 If you have a choice to make and are undecided then wether the Jizo feels light or heavy is an indication. Next post will be some photos of some of the statuary. 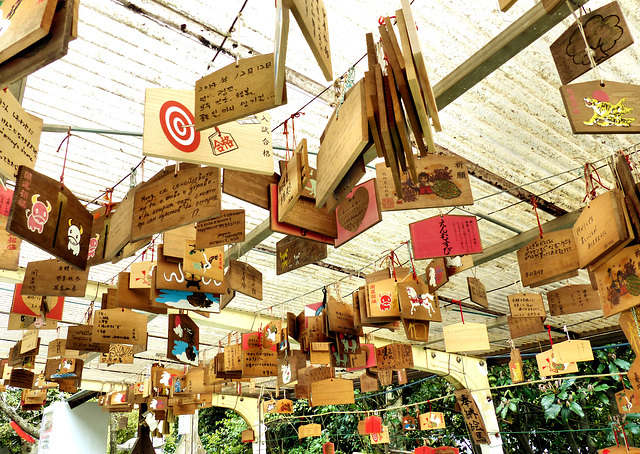 Ema, small boards found hanging at many shrines and some temples are votive plaques, but someone, I think it was Ian Reader, called them "postcards to the gods", and that made a lot of sense to me. 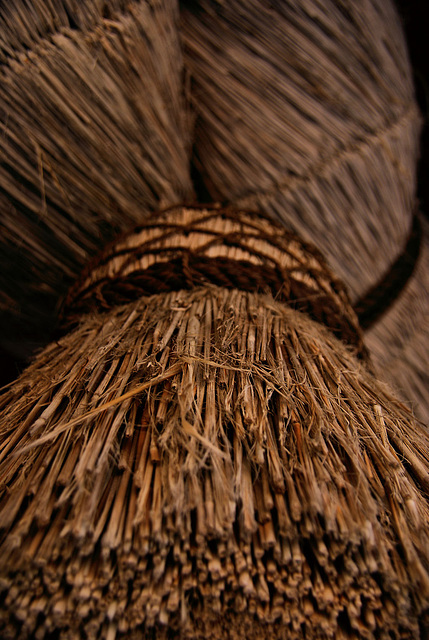 The most common shape for ema is 5-sided, kind of house shaped, but there are also other shapes including spoon shaped and others with cutouts. 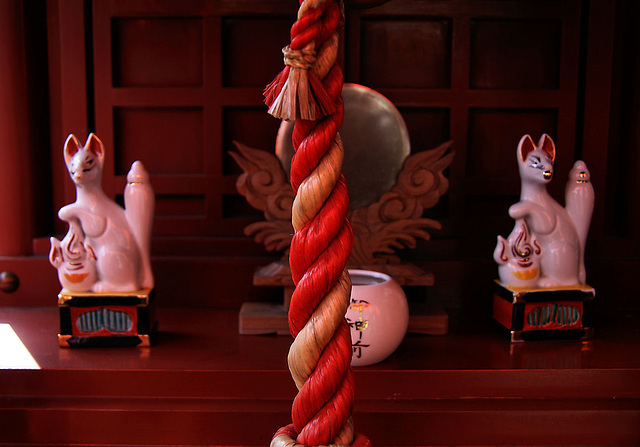 The most common design nowadays are the 12 animals of the oriental zodiac, the animal of each year being common, but bigger shrines will often have designs that reflect something about thye history or the kami of the specific shrine. 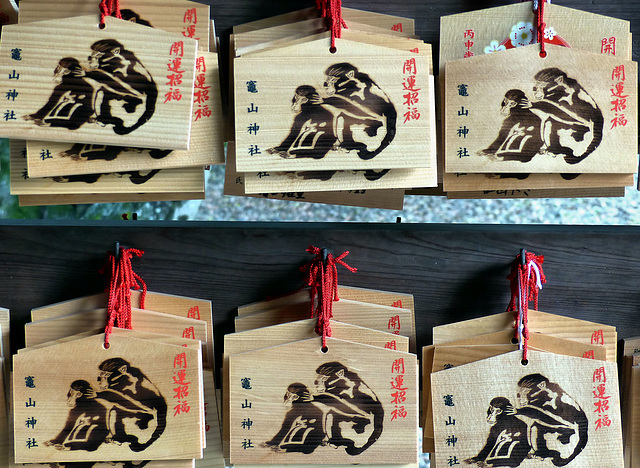 The top photo is from Dojoji Temple in Wakayama, famous for a story about a maiden that was a very popular kabuki play. 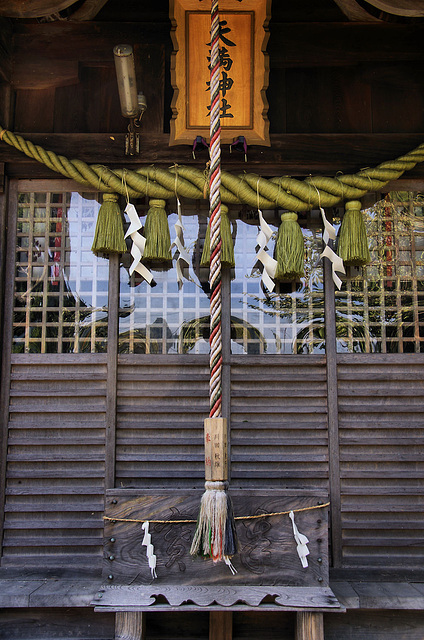 The second photo is from a small shrine in Wakayama City, Shiogama Shrine. 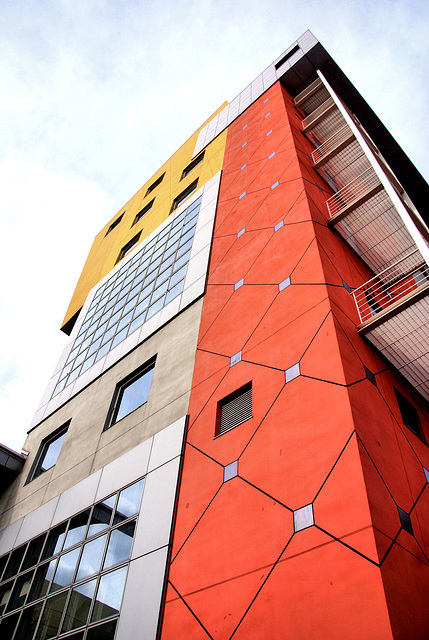 Why the ema are vertical rectangles I dont know. 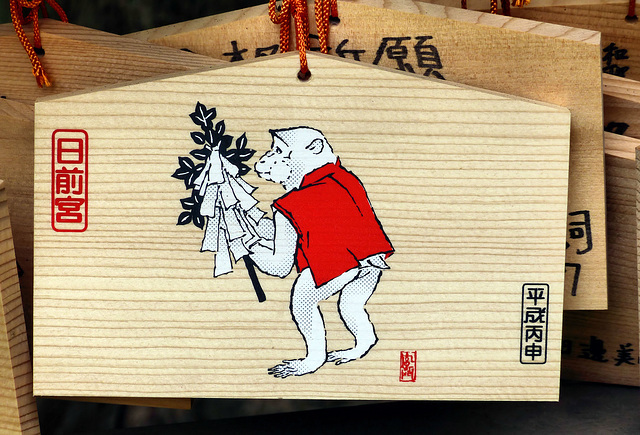 The 3rd photo, a monkey carrying a gohei, is commonly found at shrines to Sarutahiko, but the regular monkey pictures below it are a standard year of the monkey ema. 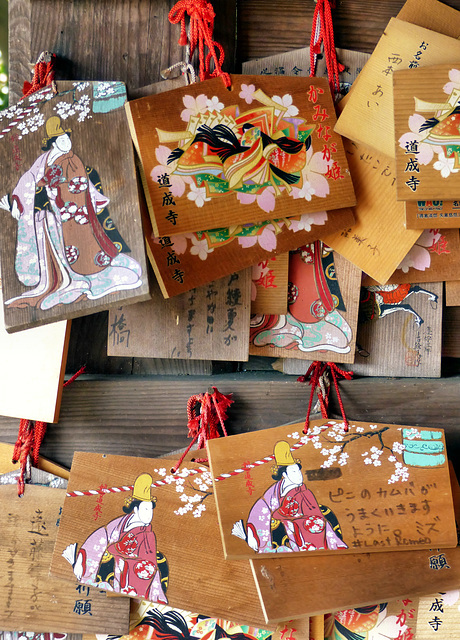 The final photo shows a collection of diverse ema hanging at Ubusuna Shrine in the grounds of Kokawadera Temple.